Feb. 9, 2019, 10 a.m.
Nearly 4 billion, Muslim and Christians, believe in him, yet Jesus (peace be upon him) is perhaps the most misunderstood and misrepresented person in history. So, how well do you know him? 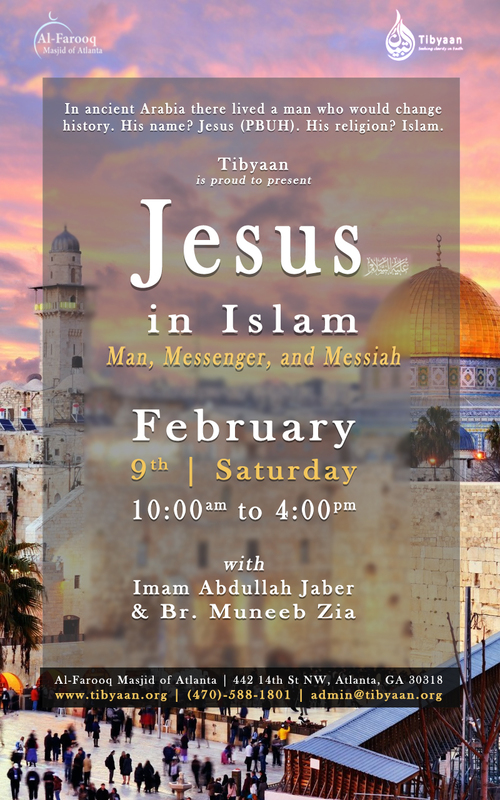 This seminar explores and demystifies Jesus (peace be upon him) – his life, teachings, personality, and mission. It highlights commonalities but also examines the differences between Christianity and Islam. Edit This Event Last Edited By: Al-Farooq Masjid on Feb. 2, 2019, 12:11 a.m.